Is Facebook video any good? It is only during the last couple of years that Facebook has gotten serious about its own video streaming. Thus, many people wonder if they should give it a chance or stay with the tried and true YouTube. The answer depends upon what you need in terms of video streaming. But there is no doubt that Facebook video is worth a look. The web started as a largely text-based system with some limited use of images. But the first video stream on the web occurred all the way back in 1993. That was just a proof-of-concept, but by the late 1990s, there were competing streaming video applications with RealPlayer, ActiveMovie, and QuickTime. Then in 2005 came YouTube and Me at the zoo. 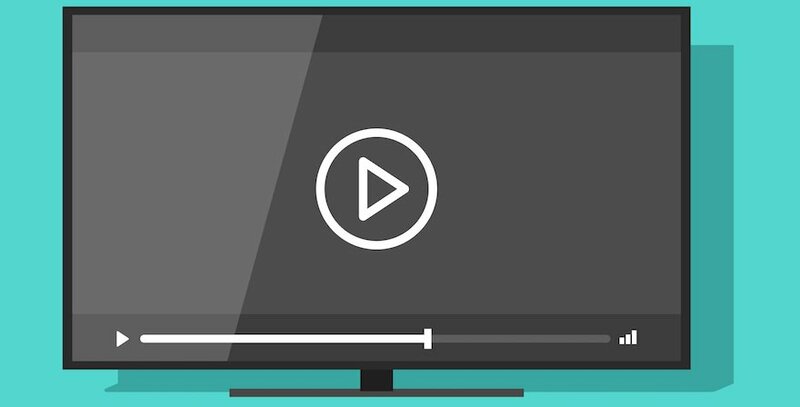 Since then, streaming video has become only more and more critical to the web ecosystem. According to a report by Sandvine in December 2015, over 70 percent of evening network traffic was due to audio and video streaming. The report indicated that 37 percent was due to Netflix, 18 percent from YouTube, and 3 percent from Amazon. We are living through the video age of the web. More advertising is being done on video. When most people think of online video, they think of YouTube. But quite recently, Facebook has become one of its many alternatives (like DailyMotion). But with the extreme reach of Facebook, it offers advantages that other alternatives do not. For example, for many businesses, Facebook pages are more popular than their dedicated webpages and blogs. So streaming video from Facebook is logical. Thus we find many people asking whether Facebook video is worth looking into or whether it is just another “also ran.” There is no concrete answer to the first part of this question, but we do know that there is nothing “also ran” about anything Facebook-related these days. If you just want to upload a video onto the network so that you can distribute it directly or embed it on your own website, there isn’t that much difference between Facebook and YouTube. More or less, they are both easy-to-use, drag-and-drop, interfaces. What’s more, embedding them is almost identical. Both embed within an iframe and provide an easy interface to copy and paste the code from either service to your own website. There are some technical differences between YouTube and Facebook. On the other hand, Facebook has a limit of two hours for uploaded videos compared to much longer times for YouTube. The limit on YouTube is a file size of 128 GB — which should come out to roughly 600 minutes or 10 hours. 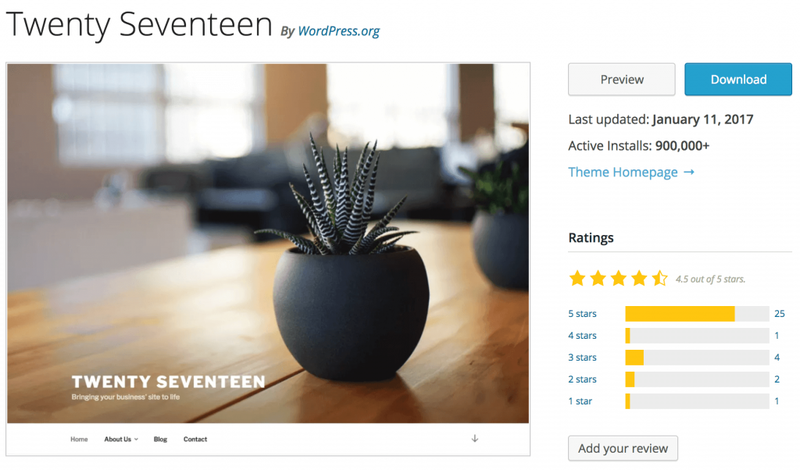 In this piece, we’ll offer eight WordPress trends you can expect to see in 2017, how they might affect you, and how you can get onboard. We’ve ordered the trends from most to least likely, so let’s get started! While ‘mobile-friendly’ has been a watchword of increasing importance over the last few years, 2017 will start to see more and more WordPress sites developed with the concept in mind. For the uninitiated, this means designing with a focus on mobile devices primarily. Over the next 12 months, we’ll see more designers optimizing for small screens, then scaling up. BuzzFeed has mobile-friendly nailed, including a responsive drop-down menu that works with any orientation. The major reason for this move is (of course) the increase in the use of mobile devices for everyday tasks – including browsing the web. With over 60% of searches coming from mobile devices, it makes sense that developers will want to focus on these users. If you think mobile-first might be for you, there are some excellent guides to help you get started. However, plenty of WordPress themes – including Divi – are already coded with small screens in mind. It means you won’t have to look far for a suitable option. With security being a perennial concern for all website owners, it’s always at the forefront of any future WordPress enhancements. Hyper Text Transfer Protocol Secure (HTTPS) is essentially a secure version of HTTP. The ‘secure’ part means that the data sent between your browser and the website you’re connected to is encrypted. While larger sites have been somewhat slow to convert to HTTPS, both Google and WordPress have upped their efforts to get sites onboard. 2017 is set to be the transitional year for many site owners and hosts. What’s more, with the success of Let’s Encrypt, it’s now easier than ever to offer security for your visitor’s data. HTTPS can be cumbersome to install, but Let’s Encrypt is a breeze to use. If you’d like to secure your website, firstly, check with your host as some are now offering certificates with their packages. However, if you’d like to manually install your certificate, Let’s Encrypt offer comprehensive guidelines for doing so. Interstitial anxiety is a term you might be hearing more often in 2017. It describes a temporary state of tension felt by a user after they trigger an action, and wait for a response. As such, delays caused by aspects such as loading times or latency issues could wreak havoc with your bounce rate. By using microinteractions to reduce interstitial anxiety, you can improve the overall user experience, and hopefully reduce bounce rates. One simple method to incorporate them is to add a preloader animation via a suitable plugin. Alternatively, if you’re Divi user, you might want to try the Divi Switch plugin. This premium solution offers hundreds of customizations, and integrates superbly with the Divi Builder. While Software as a Service (SaaS) as a business model is not a new concept, the majority of premium WordPress service providers have traditionally used a one-off payment approach. These payments might include support and updates for a specified period, but require an entirely new purchase when it comes time to renew. In 2017, we’ll likely start to see a shift to more developers using the SaaS model, with services auto-renewing at the end of a term. 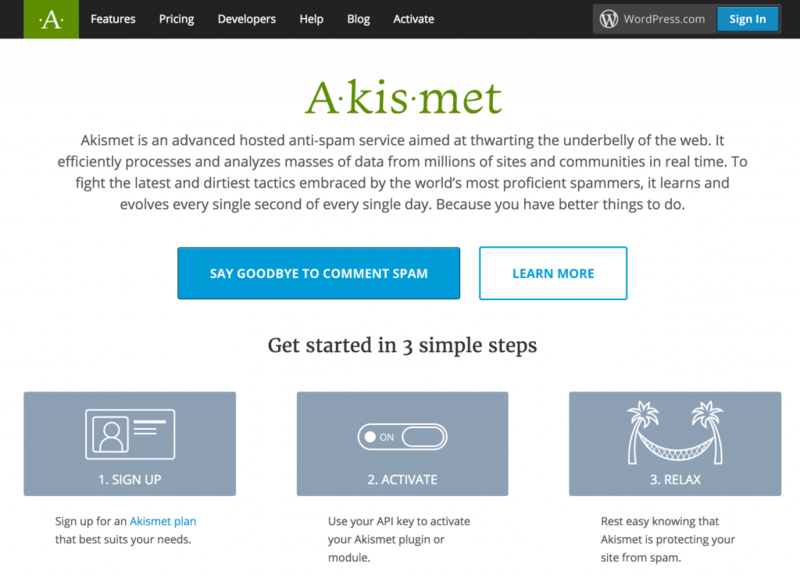 For example, Akismet is a widely used WordPress solution that offers a freemium SaaS service. Although there are drawbacks, an SaaS model is ultimately a win-win. On the one hand, developers get to earn continuous income for their efforts, while WordPress users receive continued support and regular updates for the software they’re using. With that in mind, if you’re a developer you may want to consider the switch. Once you’re set on making the jump, it’s time to put your plan into action. However, if you’re a customer, it’s important to be aware of the business model your chosen WordPress solutions use. After all, spiraling costs could mean you’re forced to use a poor-quality alternative. To take advantage of this trend, you can choose from one of the many other themes that come with video header functionality. However, if your current theme doesn’t give you the option, you may want to look into some workarounds. Once added, you can upload a video into the Section Module Settings screen, then enter its exact width and height into the relevant fields. You can also select whether you want to enable the pause button or not. Our next WordPress-related trend is failure mapping. This basically involves mapping out various user experiences, and finding potential flaws. Examples might be an unintuitive navigation menu or a confusing call to action. Of course, this undoubtedly will improve the user’s experience, particularly for those who are not your primary target. In fact, WordPress has guidelines on web accessibility that touches on this to some extent. On the whole, it means we may begin to see more flexible ‘niche’ themes arrive on the scene this year. We may also see a rise in the popularity of multipurpose themes (more of which in a minute). With more people online than ever before, we’re seeing an increase in the demographical range of users – for example younger children and older adults. These groups have varying levels of computer-literacy, are potentially more familiar with different applications, and have different viewpoints all-around. In a nutshell, by making your website suitable for only one type of user, you could be missing out on a larger readership and customer base. It’s a complex concept, but to begin with failure mapping, map your visitors’ journey and look out for potential issues for a range of personas. Based on your overall observations, make changes as necessary. Don’t be surprised if you find that removing or combining certain elements seems like the right course of action. Simplifying and streamlining your site will typically make for a better user experience than adding more elements. Multipurpose themes have been around for a long time, but their star is on the rise in 2017. Themes such as Divi offer a myriad of benefits, but they also eliminate the learning curve associated with using a different niche themes for every project. What’s more, many multipurpose themes also have a solid support community for receiving and giving help. When choosing a good multipurpose theme, you’re generally looking at its overall functionality rather than specifics. For example, clean and lean code, plenty of customization options, and excellent support are all three elements you’ll want to consider. Once you have your requirements, it’s time to go shopping! While you can find some free multipurpose themes on the web, plumping for a premium option is usually the way to go. The implications for combining VR with WordPress are potentially huge. For example, adoption by e-commerce sites could mean customers no longer need to visit a store to interact with a product. It also has massive potential for use in areas such as real estate, travel, and sports. Admittedly, there are potential drawbacks to consider, such as designing for both VR and regular users, and the enormous amount of bandwidth required. However, if you do want to get onboard, your first stop should be the WP-VR-view plugin. It’s one of the only plugins available, and enables you to create a VR WordPress experience with Google Cardboard compatibility. It’s just as well that it has some excellent reviews and ratings! WordPress’ development is constantly evolving, and given this, it’s sometimes difficult to keep up with the latest trends. Missing out on what’s in store for 2017 could see you fall behind. Given some of the upcoming innovations, becoming an early adopter will be crucial for a modern-looking website. A rise in the use of mobile-first web design. Increased security involving HTTPS and encryption. A focus on improving microinteractions. The rise of SaaS as a developer business model. An increase in the use of video headers. The use of failure mapping to enhance user experience. An increase in the popularity of multipurpose themes. The evolution of VR with WordPress. Do you know of any other WordPress trends to look out for in 2017? Let us know in the comments section below, and don’t forget to subscribe so you can follow the conversation!